Take Two Characters. Jen Gilroy Chooses Two of Her Favourite Fictional People. After the daily blog all through November keeping you up to date with my NaNoWriMo progress (huge thanks to those of you who dropped by every day), it's time for 'normal service' to be resumed and this week I am thrilled to welcome back Jen Gilroy to my blog to share two of her favourite fictional people in the Take Two Characters series. I was delighted when Susanna asked me to take part in this series on her blog. Not only is she a dear friend, but she’s also a favourite blogger and I’m always happy to visit here and chat with her readers. However, I must confess that her request to choose two favourite fictional characters, one from my own books and one in a book by another author, was challenging. As a reader, I have so many favourite fictional characters. How could I choose only one? And as an author, I’m attached to my characters as a mum is attached to her children. Choosing one over all the others smacked of favouritism! 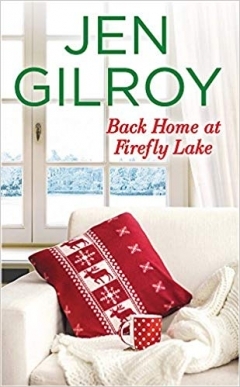 The decision was made, though, when Susanna noted that this guest post aligns with the first book birthday for Back Home at Firefly Lake, the third book in my series of small-town romantic contemporaries set in Firefly Lake, Vermont. As I celebrate that milestone, I’m also celebrating one of the characters in Back Home at Firefly Lake, Cat (Catherine) McGuire who has much in common with one of my favourite characters created by another author, Valancy Stirling from Canadian author L.M. Montgomery’s The Blue Castle. Cat appears in my first two Firefly Lake books from a brief reference in The Cottage at Firefly Lake to small appearances in Summer on Firefly Lake. When the time came to give her a story of her own, she’d already lived in my head for over a year. Single mom, daughter, sister and sympathetic friend to many of the other characters, Cat is someone who has never felt comfortable in her own skin, or in Firefly Lake. Academically gifted, she’s happy in the world of books…until, all of a sudden, she isn’t. When in her mid-thirties, life brings her back to Firefly Lake, she has to confront the awkward teen she once was and face her fears (including her childhood crush, ice hockey pro Luc Simard) to finally become the woman she truly wants to be in life, work, and love. Every book I write is, at some level, a story of female transformation and empowerment and Cat is no exception. In the end, and while she earns her happy ending with Luc (the story is a romance! ), she also gains so much more—confidence in who she is and what she wants in all aspects of her life, not only in a romantic relationship. More than ninety years before Cat McGuire, Valancy Stirling appeared in L.M. 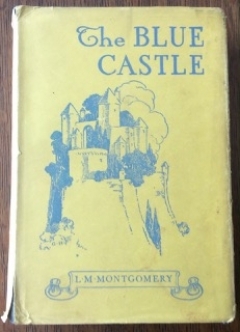 Montgomery’s The Blue Castle, first published in 1926 and, in contrast to the much better known Anne of Green Gables, one of the few Montgomery books defined as ‘adult’ fiction. A ‘spinster’ at the age of twenty-nine, Valancy lives a life of dull routine, dominated by her narrow-minded family and gossipy rural community. With limited education, no practical skills except for cooking, and at a time where women of her social background had few options in the world of work, she finds escape in reading. But when she receives a supposedly devastating medical diagnosis, she decides, for the first time in her life, to truly live. Letting go of her fear of what her family and society will think, she finds meaningful work caring for a childhood acquaintance who became pregnant while unmarried (shocking for that time and place) and, in the end, finds her happy ending and a fulfilling life with an intriguing man with a mysterious past. In the tradition of much contemporary women’s fiction, she becomes her ‘best self’ inside and out—including having the last laugh on her snobbish family. Although Cat and Valancy are different women living at different times and in different contexts, they are nevertheless similar in how they face their fears, seize life, and don’t let their pasts continue to shape their futures. That possibility of change and, correspondingly growing through challenges, motivates and shapes my own life. Perhaps not surprisingly, then, it’s also reflected in the characters that speak to me most as a reader, as well as those who people my books—and it’s why Cat and Valancy each have a special place in my heart. Jen Gilroy worked in higher education and international marketing and business development before trading the corporate 9-5 to write contemporary romance and women’s fiction with heart, home, and happy endings. After many years living and working in England, she returned to where her roots run deep and lives in a small town in Eastern Ontario, Canada with her husband, teen daughter and a floppy-eared hound. When she’s not writing, Jen enjoys reading, travel, singing, and ballet. She’s also known for her love of ice cream, shoes, and vintage finds. Jen’s first book, The Cottage at Firefly Lake (and first book in her Firefly Lake series), was a finalist for Romance Writers of America’s (RWA) Golden Heart® award in 2015. It was also shortlisted for the Romantic Novelists’ Association (RNA) Joan Hessayon Award 2017. 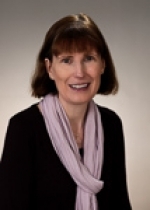 She’s a member of RWA, RNA, and the Women’s Fiction Writers Association (WFWA). Thank you, Cass. I'm glad you enjoyed the post. Although Susanna's topic was 'challenging,' I'm glad she asked the question as this series (and writing my own guest post) has made me think about characters in new ways. Hi, Cass. Glad you enjoyed Jen's post. I know it is a tall order when you are asked to choose just one favourite from all the books you have read. It certainly concentrates the mind! Should I feel guilty for asking contributors to do this?! I really enjoyed reading this, Jen! I especially loved the similarities between both Cat and Valancy, despite the time difference - many things change, but so often, human nature remains the same! Totally understand the dilemma of how to pick just one favourite from all the book you've read, but I think you did a great job! Thanks for reading my guest post, Jane. I’m glad you enjoyed it. Happy reading! Thank you for the book birthday wishes, Kev. Much appreciated! Hi Jane and Kev. Jen would like me to tell you that, for technical reasons, she hasn't been able so far to reply to your kind comments; but she wanted me to pass on her thanks and to let you know that she has read them and will reply as soon as soon as technology permits! Happy book birthday to Back Home at Firefly Lake. On 8th December, 2018 by Kev. Hi, Jane. Nice to see you here. Glad you enjoyed the blog. Something I am enjoying about this series is the insight into what readers appreciate in book characters. Really interesting - introduced me to some new characters I'm looking forward to meeting! Thank you very much for reading my post and commenting, Louise. I also appreciate you buying ‘The Cottage at Firefly Lake.’ I hope you enjoy it. Although it’s the first one of a trilogy, each of the books also stands alone. That copy of ‘The Blue Castle’ is very special to me as it belonged to my late mother and is inscribed with her name inside. I'm with you on this one, Louise - I, too, loved the Anne books, though I had no idea that L M Montgomery wrote books for adults. And yes, that really is Jen's copy of the book! I love the way Jen has compared Cat and Valancy to one another and also to herself. I think that has added real depth to her guest post. I'm glad you have ordered The Cottage at Firefly Lake. You are in for a treat. I have never read this LM Montgomery books but I absolutely loved 'Anne of Green Gables' and 'Anne of Avonlea', so I can imagine how well written 'The Blue Castle' is. Also, how lovely to see an old copy of the book - presumably Jen Gilroy's own copy? I love the idea of a character - or a real person - becoming the best version of themselves. That is something we should all aspire to. I have had a look on Amazon and have ordered the first in the Firefly Lake series. Thank you for an interesting blog.